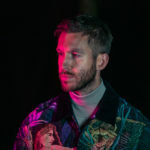 With streaming services like Spotify and Apple Music reigning in popularity over record sales, Calvin Harris is looking to capitalize on this growing music market by opting to release singles only. According to the infamous British tabloid The Sun, Harris does not have plans to compile another album, with “My Way,” his single out this Friday, commencing this new strategic move. Instead of teasing a complete album with numerous singles, the DJ/producer will reportedly release singles as they’re completed, meaning fans can expect a quicker turnaround time for new music from Harris. Though his reps have not confirmed the claim, Harris has been a tabloid spotlight staple ever since he began a high-profile relationship with Taylor Swift last year. If the report is in fact accurate, Harris will be one of the first artists in the electronic music industry to follow this business model.